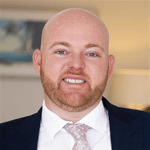 Our highly trained & awarded Property Manager's Joel Fletcher, Kristy Bloomfield, Abraham McCord, Kimberley Osborne and office manager Jennifer Walton operate the Central Coasts number one property management office with market leading systems, procedure's & knowledge of the residential tenancies act. The highly exposed property management office is located at 29 Blackwall Road, Woy Woy, positioned in the heart of the CBD designed to maximise our services to the entire Central Coast. The Richardson & Wrench Umina Beach / Woy Woy team are all long standing local residents of the Peninsula and believe in the traditional principles of “good old fashioned service” with determination, honesty & integrity. Words that are commonly used too often in today’s world, but are constantly practiced in our friendly office on a daily basis.